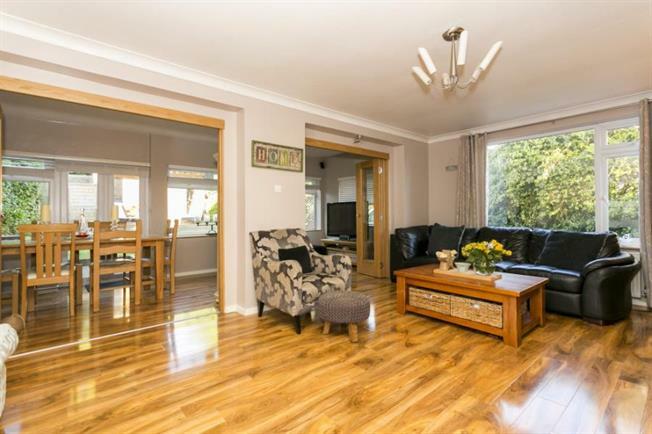 4 Bedroom Detached House For Sale in Tunbridge Wells for Guide Price £775,000. Guide price 775,000 - 800,000. Freeman Forman are delighted to present this unique and substantial three bedroom detached house, with a self contained one bedroom annexe, located in an enviable and secluded off road position in Southborough. The main house offers immaculately presented accommodation which includes entrance hall, wet room/cloakroom, sitting room with fireplace, bi folding doors to the dining room, a kitchen breakfast room and a utility room. Stairs rise from the entrance hall to the first floor landing where three bedrooms and a family bathroom are located. The attached annexe is accessed via the kitchen of the main house and offers superb self contained accommodation which includes a kitchen/diner, conservatory, double bedroom, bathroom and a private garden. The annexe is considered to be ideal for an elderly relative or teenager living at home. The property enjoys a delightful secluded position with the property not being visible from the road. The garden is laid mainly to lawn with a useful detached office building. There is a driveway which provides ample off road parking. Southborough's high street hosts a range of local shops and services, from convenience stores, family bakers and master butchers to wine merchants and a variety of restaurants. A new community theatre has been planned as part of the proposed Southborough Hub, which also features a library and new doctors surgery. There are excellent primary schools and pre-schools in the village, with a choice of grammar schools and other educational options available in nearby Tunbridge Wells. The High Brooms Mainline Railway Station and the A21 are within easy reach for commuters.